If you’re looking for a knowledgeable and experienced Orlando dentist, look no further than Oral-Facial Surgical Arts, PA, where you will find Dr. Ronald M. Achong, a professional Oral & Maxillofacial Surgeon. These are a long lasting and effective way of replacing missing teeth. At Oral-Facial Surgical Arts, PA, your dental implants will be installed throughout the course of two appointments. The first appointment involves the installation of titanium posts which act as replacement tooth roots. Once placed, these will be left to “grow into” your mouth over the course of about six months. Over time, your gum tissue and jaw bone will grow to surround these posts, securing them to your jaw. The second appointment simply involves placing dental crowns onto the titanium posts. 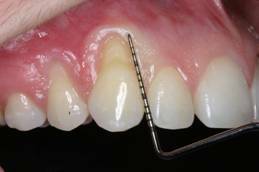 This is an easy and painless procedure that is often completed in a relatively short amount of time. 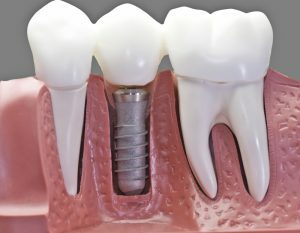 As a professional Orlando dentist, Dr. Achong will install your dental implants accurately and securely. It’s always better to get your wisdom teeth out sooner rather than later. The longer you wait, the more of a chance they have to cause problems. Wisdom teeth can become impacted, or negatively affect the teeth surrounding them. The longer you go without getting your wisdom teeth removed, the more complicated the procedure can become. 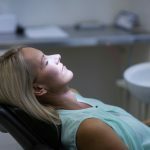 By getting your wisdom teeth removed by your Orlando dentist, you can avoid these problems in the future. Let’s face it: no one really likes going to the dentist. 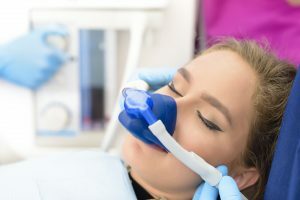 Fortunately, at Oral-Facial Surgical Arts, PA, you will get the sedation you need to relax and feel no pain throughout your entire procedure. This is often required before dental implants can be placed, as missing teeth tend to result in a loss of bone mass in the jaw. Bone grafting can thus be necessary before dental implants can be placed. If you are experiencing a growth of lumps or sores in your mouth, you may have a pathologic process going on. At worst, this could be a sign of oral cancer. Don’t wait for this problem to get worse. Seek diagnosis and treatment right away. And more. Gum, bone, and socket damage that results from these events can be mended. At our dental clinic, your injuries will be taken care of safely, cleanly, and painlessly. Gum recession can occur for a number of reasons, but most commonly as the result of either bacterial infections or some form of trauma. At Oral-Facial Surgical Arts, PA, your Orlando dentist will perform the gum reconstruction you need with professional grafting techniques.